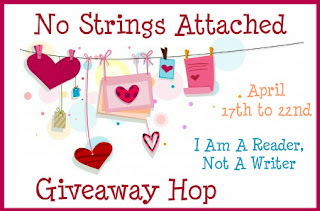 This blog hop is being hosted by I Am A Reader, Not A Writer. As contemporary poets sing the glories of birds, birch trees, and menstruation, regular guys are left scratching their heads. Who can speak for Everyman? Who will articulate his love for Xbox 360, for Mama Celeste’s frozen pizza, for the cinematic oeuvre of Bruce Willis? Enter Broetry—a stunning debut from a dazzling new literary voice. “Broet Laureate” Brian McGackin goes where no poet has gone before—to Star Wars conventions, to frat parties, to video game tournaments, and beyond. With poems like “Ode to That Girl I Dated for, Like, Two Months Sophomore Year” and “My Friends Who Don’t Have Student Loans,” we follow the Bro from his high school graduation and college experience through a “quarter-life crisis” and beyond. I read Broetry back in September (check out my review here) and thought it was absolutely hilarious. Quirk sent me a review copy and one to give away but I wanted to wait until poetry month to give my second copy away. So here's your chance to win - just use the Rafflecopter widget and you'll be entered. HAH! I have to read this, this looks so funny. Awesome giveaway, thanks!! I ALWAYS celebrate National Poetry Month at my Library. I've not heard of Broetry. It sounds like fun. This book sounds AWESOME! I need more boy books for my classroom library. I bet I have a lot of sophomores who'd get a kick out of this. Thanks for the giveaway!